I’ve been thinking about paint a lot lately. My house is a collage of colors – some say it’s like walking through ROYGBIV; my in-laws say I like “dark” colors; I think I like “deep” colors. It’s true, I’ve never met a deep (or dark) color I didn’t like and there very few I haven’t tried. In my last house, I used black on the trim in my living room and dining room and it was very striking and dramatic against the tall windows and ceilings. 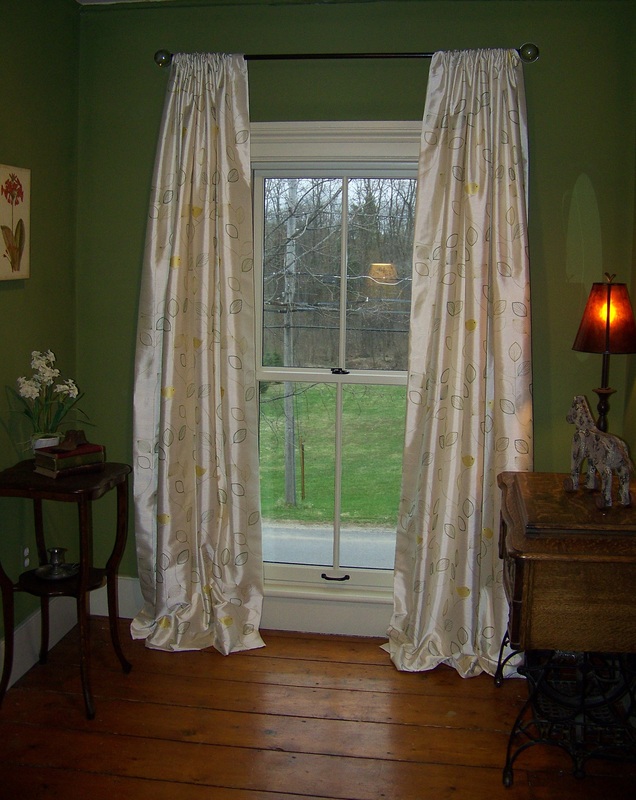 In my current home, I’ve used black by Benjamin Moore on the window sashes but opted to keep the trim my standard Farrow & Ball Off-White. Lately though, I’ve been feeling burdened by my bold color choices. The pea green that once made me feel so energized just seems dull and dark (it could be that it desperately needs to be repainted). 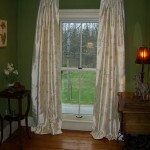 I did recently stitch up some new curtains to lighten it up a bit. The Benjamin Moore Nantucket Gray that I adored in my quaint, cute bedroom in my old house, just feels dingy in my much larger, less attractive new room (renovation still to come!). And even my custom mixed “Coach Bag Red” in my powder room just feels heavy and cold. I guess it’s the winter blues or spring fever, but I’m ready for a change. I jokingly added in a previous post that I’ve been watching too much Candace Olsen but I really like how the colors she chooses just seem to flow from one room to the next next. She usually uses soft blues and grays and while I don’t think I could get that ethereal, I am thinking about a major change of color palette (don’t tell my husband). I do need to repaint my hallway. When I painted 5 years ago, I had one small baby who never touched anything and I could not imagine that I’d ever have children who would drag their hands, toys, or food along the hallway walls so I painted it a flat pea green. Five years later, it looks like a greasy spoon. 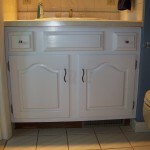 So it got me thinking, if I’m going to repaint, maybe it’s a good time to change the color. 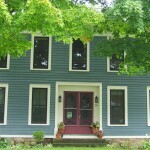 The problem is, when I look at paint samples, I’m always drawn to the colors I already have – except for gray and I know that after about six months (especially come mid-winter) it would be driving me to drink – and repaint! 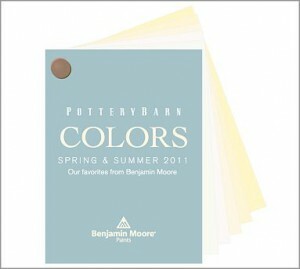 So, I haven’t decided to repaint my whole house builder’s white, but I may experiment with some of the new colors for Pottery Barn by Benjamin Moore. 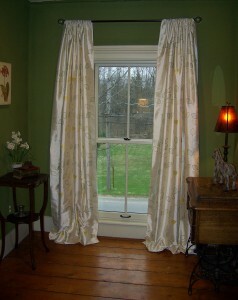 I am drawn to Hillside Green and Hawthorne Yellow, although I suspect they are strikingly close to my current palette. I will be sure to give the update as soon as I’ve made up my mind – again. Have a paint story to share? Looking for paint suggestions? Leave your comment below or Like me on Facebook and post your pictures. Contact me through the end of April and I’ll give you a free Spring 2011Pottery Barn color swatch book from Benjamin Moore when you book your color or decorating consultation. And feel free to share my page with someone you love!